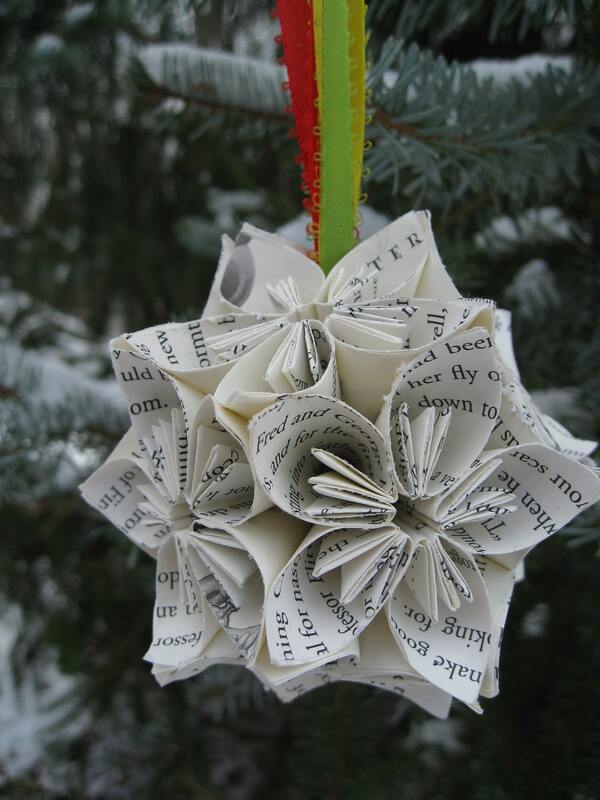 Book Kusudama Ball, Christmas Ornament. 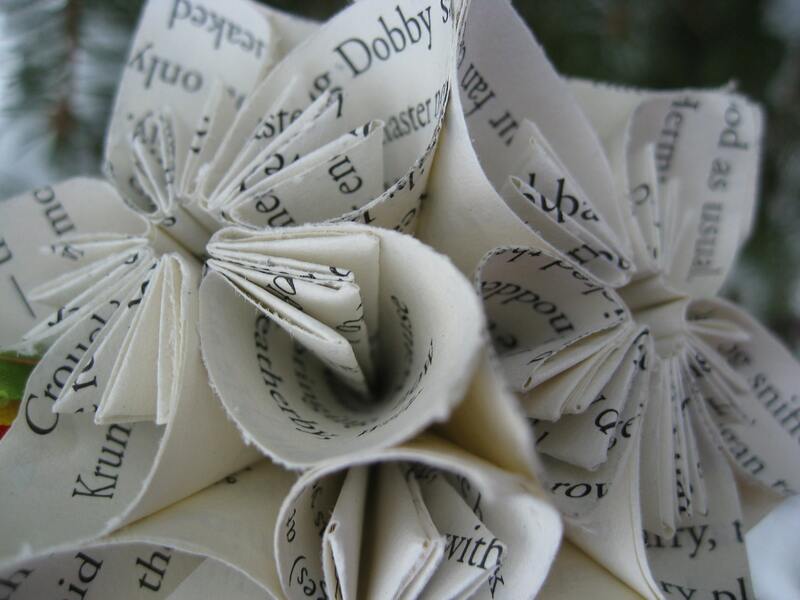 Origami Paper Flowers. Gift For Christmas. Other Sizes Available. 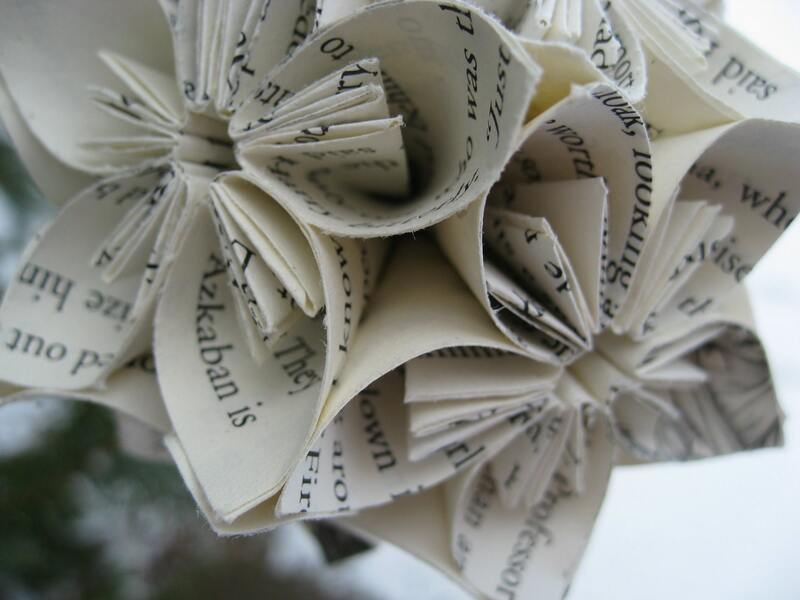 This book origami kusudama ball is a very cute decoration for anyone to own! 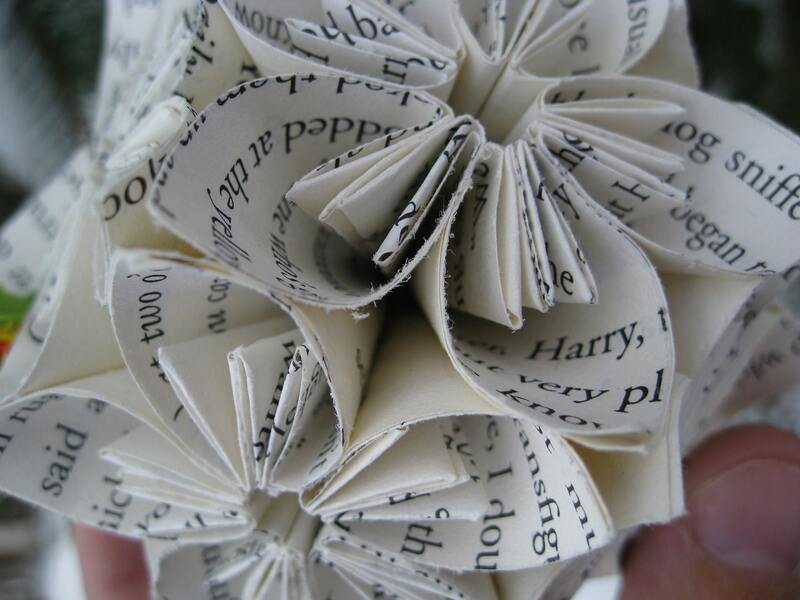 This ball is made from carefully folded origami paper flowers, cut from a book, and put together to form a kusudama ball. This makes a great decoration for a room, for a locker, for a teacher, or for anywhere you want to hang it. Give it for Christmas, Valentine's Day, Mother's Day or a birthday, or just to make someone smile! It comes with three ribbons: green, yellow and orange. They are looped around for easy hanging! 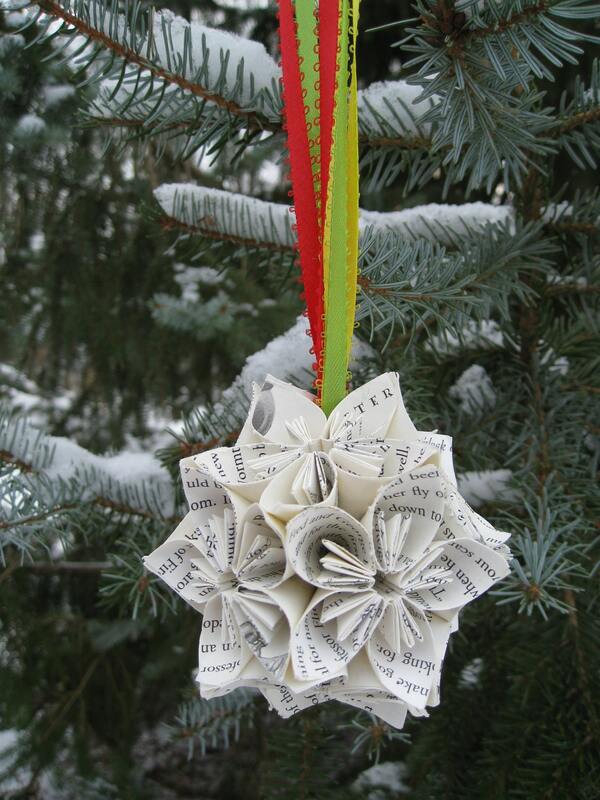 (If you would like one with a different colored ribbon, just let me know!) This kusudama ball is my medium size and is made from 12 flowers. It measures 3 1/2" across. If you require, I do have bigger ones available in my store. And smaller!